A Closer Look to the Meant to Be Bundle. I have a very detailed video for you all today along with a CAS card for your mid week project. This video really shows the details of this bundle, especially how they coordinate with last week’s bundle. For my sample today I have chosen a clean and simple (CAS) card design. 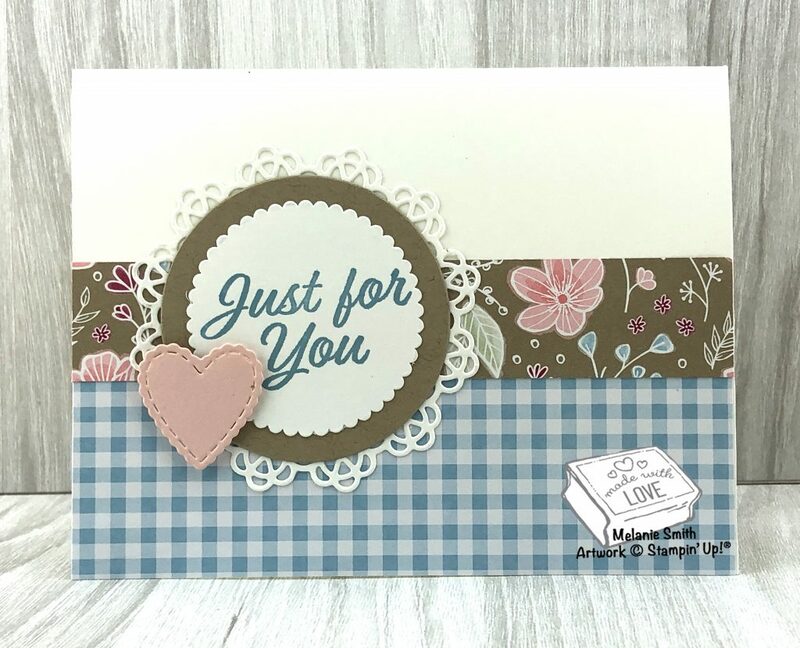 I try and do this each Wednesday for some simple mid week stamping. A couple pieces of designer series paper (DSP) and a few die cuts and here you go. Easy Peasy but so darn cute! 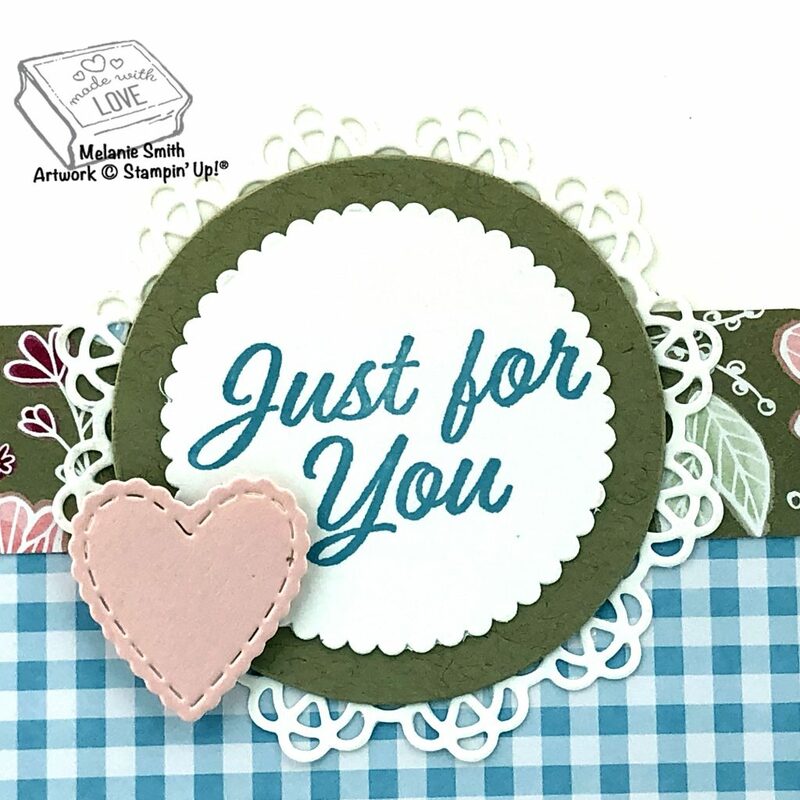 I have used a Doily die cut from the “Dear Doily” bundle along with the Circle and Scallop dies from the Layering Circle Framelits. (A MUST HAVE #141705) The tiny heart and the sentiment are both from the Meant To Be bundle. Also for the papers… I have used a strip from the All My Love DSP along with a piece of Gingham Gala 6×6″ DSP pad. All items are linked below.